Although the first ever breakfast cereal was granola, invented in the USA in 1863, cereal as we know it didn't arrive until years later in 1895. And it wasn't until after World War II when the big breakfast cereal companies realized how much children loved this morning staple and began to look at ways to get them more interested. How different the history of cereal would have been (and how much less fun!) had the innovative thinkers behind General Mills (who entered the market in 1924 with Wheaties) not started surprising families with free prizes in cereal boxes! 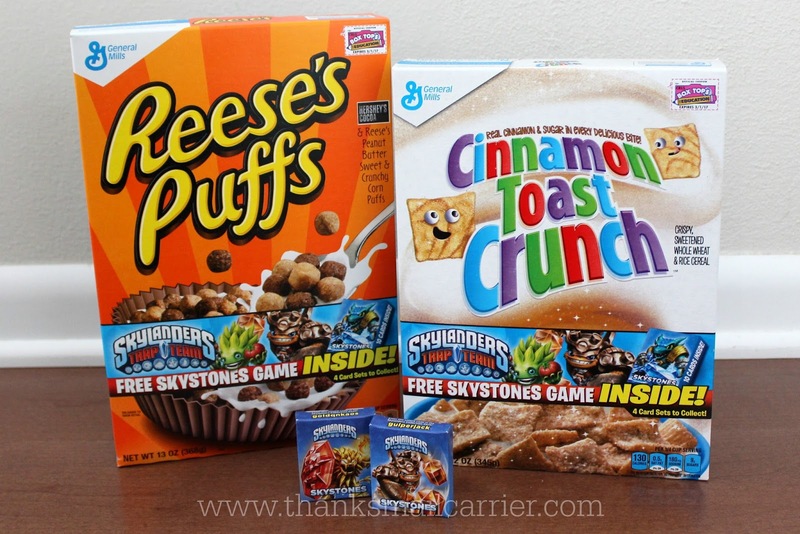 However, even though we have been enjoying all sorts of unique and fun items in our boxes for more than 90 years, this year General Mills is upping America's breakfast game through a new partnership with the most popular children's video franchise, Skylanders! If you're not familiar with the award-winning, $3 billion Skylanders video game franchise, then you must not have children interested in the interactive figures, portal and accessories that seamlessly bridge the physical and virtual worlds across multiple platforms. If you are, however, then you know how much kids everywhere LOVE anything and everything Skylanders! 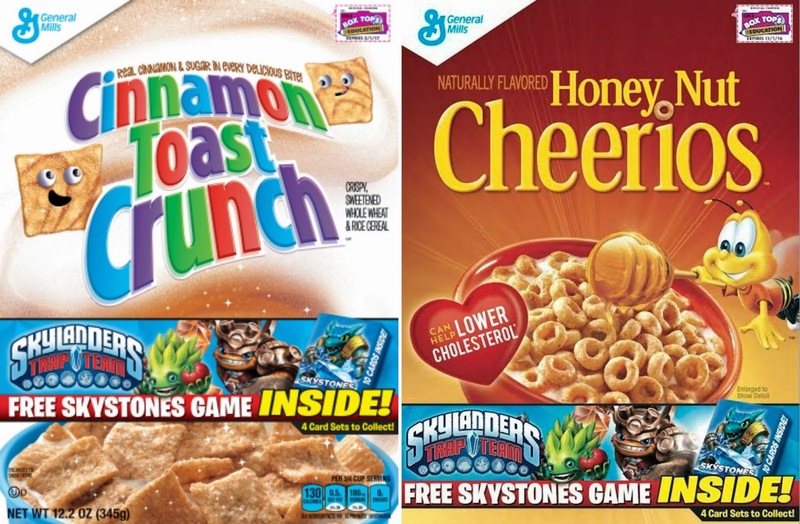 Which is why, for those households, there will be excitement in the air to know that General Mills and Skylanders have teamed up to offer exclusive Skylanders Skystones card sets free in your favorite boxes of specially marked cereal boxes! 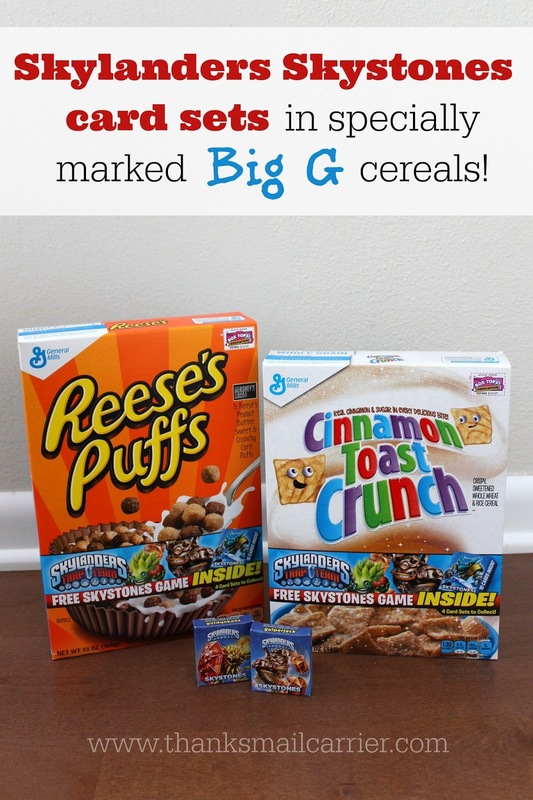 Participating brands of Big G cereals include Honey Nut Cheerios, Frosted Cheerios, Fruity Cheerios, Reese's Puffs, Cookie Crisp, Lucky Charms, Trix, and Cinnamon Toast Crunch. 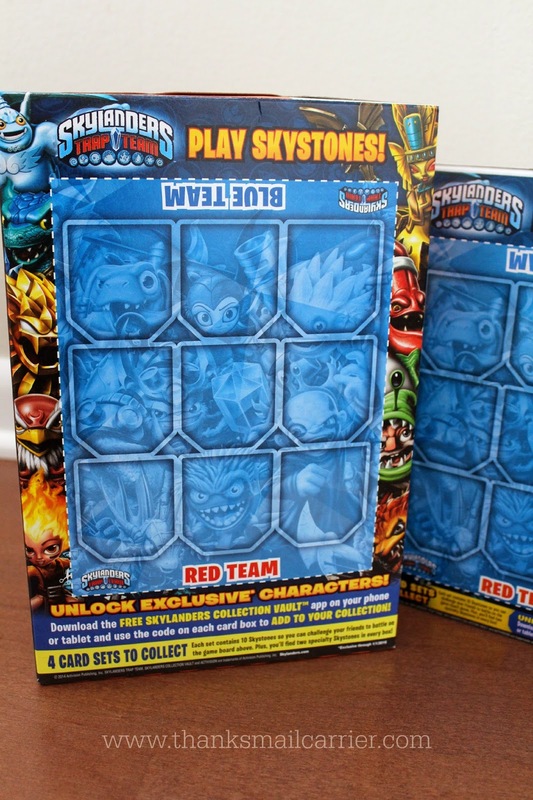 There, customers will find not only find a Skystones game card set, but a game board printed on the back of the cereal box and a downloadable code to unlock characters in the popular mobile Skylanders game. 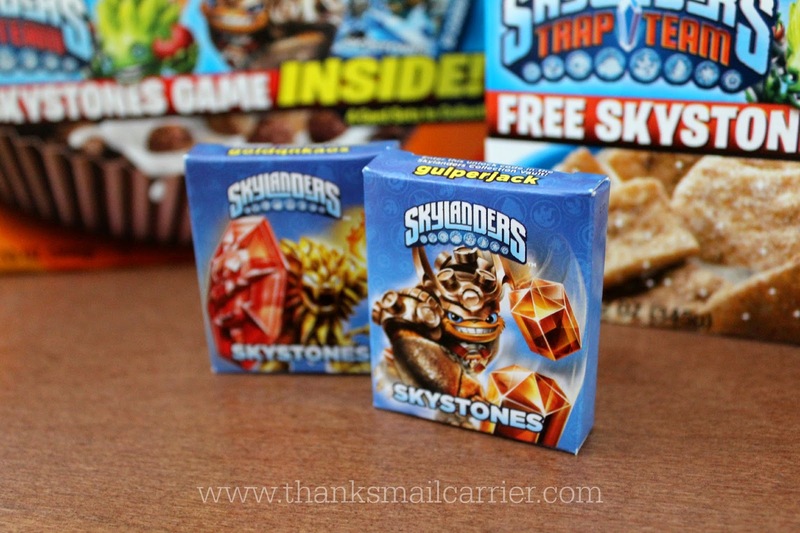 If you have a Skylanders fan, then they'll definitely want to collect all four Skystones game card sets! 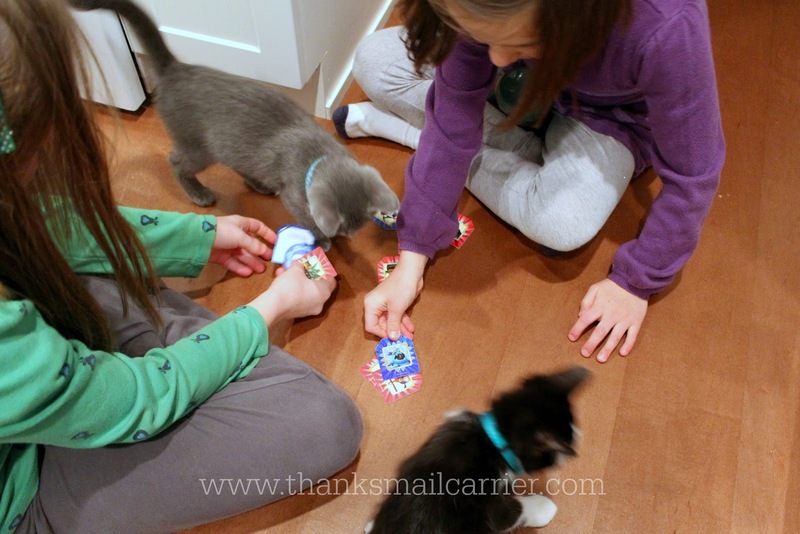 While my girls aren't fully familiar with Skylanders, they still been having a good time playing with the Skystones cards and making up a variety of their own games... that the two new furry members of our household have been quite interested in as well! From favorite cereals to hot properties like the Skylanders franchise, Big G is connecting families with what they love. This exclusive offer helps fuel family fun and promotes developmental skills through imaginative and cognitive play. What could be better in conjunction with a bowl of delicious cereal? But, hurry! The specially marked boxes of Big G cereals featuring Skylanders will be on store shelves beginning in March and for a limited time only. One lucky person will win a variety of participating General Mills cereals and an exclusive Skylanders game set! Actual product received may vary. A big thank you to General Mills for providing product for me as well as a Prize Pack for one lucky giveaway winner. The opinions shared are my own and honest and if you really need to see more, click here to see how I roll.